At FFPP’s April 12th Professional Development Day, John Tsapogas from the Research Foundation led a workshop on STEM grant writing at CUNY. While we asked John to gear his presentation toward investigators in STEM fields, he offered valuable advice for all CUNY faculty, including in the humanities and social sciences. We encourage all Fellows to make use of the list of TIPS FOR WRITING COMPETITIVE PROPOSALS below. For the full grant writing presentation, see Grant Writing @ CUNY. All Fellows engaged in quantitative research should familiarize themselves with the CUNY Graduate Center Quantitative Research Consulting Center. In our conversations about academic publishing at our Professional Development Day on April 12, we received some great advice from the book and journal editors who came as our special guests. Much of their advice is included in your FFPP Tool Kit. We also received news of the current call for papers from WSQ, and several opportunities to publish with the Journal of Interactive Technology and Pedagogy. And the CFP database hosted by the Department of English at University of Pennsylvania lists a broad range of journal publishing opportunities. This article from The Chronicle of Higher Education by Steven Pinker, Why Academic writing stinks is available here. 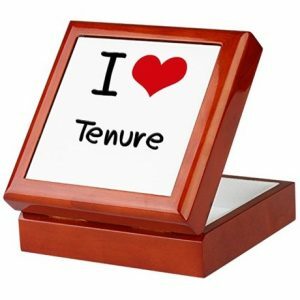 During FFPP’s Professional Development Day on April 12, we put together a FFPP TENURE AND PROMOTION PRESENTATION of some suggestions that can help pre-tenure assistant professors plan for their tenure and promotion. While it is necessary that you confirm the expectations and timelines relevant to the standards at your home campus, this presentation can provide a general guide. PSC CUNY also provides an important summary of faculty rights during the tenure and promotion processes. It also published on faculty Personnel Files that came up in our discussion. You can also find more information and advice about your Personnel File and about your presence on CUNYfirst by consulting the faculty handbook on your home campus. And as always, your Department Chair and Provost are excellent resources as you prepare for tenure and promotion. Moustafa Bayoumi is a professor of English at Brooklyn College, City University of New York. He is the author of the critically acclaimed How Does It Feel To Be a Problem? : Being Young and Arab in America (Penguin), which won an American Book Award and the Arab American Book Award for Non-Fiction. His book, This Muslim American Life: Dispatches from the War on Terror (NYU Press), was chosen as a Best Book of 2015 by The Progressive magazine and was also awarded the Arab American Book Award for Non-Fiction. In 1958, a pretty young mother from Nashville, Tennessee borrowed $100 from her brother to run a Numbers racket out of her tattered apartment on Delaware Street, in one of Detroit’s worst sections. That woman was Fannie Davis, Bridgett M. Davis’ mother. A daughter’s moving homage to an extraordinary parent, The World According to Fannie Davis is also the suspenseful, unforgettable story about the lengths to which a mother will go to “make a way out of no way” to provide a prosperous life for her family — and how those sacrifices resonate over time. Bridgett M. Davis is Professor of Journalism and the Writing Professions at Baruch College, CUNY, where she teaches creative, film and narrative writing. Davis is the director of the award-winning feature film Naked Acts, as well as the author of two novels, Into the Go-Slow and Shifting Through Neutral. Conceiving of your writing as taking place in small increments of time [25 minutes] rather than enormous, unbroken blocks of time–and progress is absolutely possible within those smaller blocks. Resisting distractions from those 25 minute blocks of time–especially the urge to check email or the news. Often this resistance to distraction takes place 15 or 20 minutes into the writing session, where I can tell myself “only 5 or 10 minutes to go,” so no interruptions allowed. Taking regular breaks, which clears the mind and feels healthier physically and mentally. Be realistic. Set goals you can achieve. Make a plan that includes how you can be accountable for your goals–this might include scheduling an hour a day into your calendar, practicing positive self-talk, and trusting your working group peers for encouragement. Tell people about your goals so you can build a community of support. Make note of your small successes. Every step counts toward your larger goal–be sure to acknowledge every little milestone of your journey. Take it one day at a time. When you experience a setback don’t beat yourself up. Get back to your plan and keep moving. You are part of an amazing community of scholars. You have already achieved so much–don’t forget you earned a tenure track job in an incredibly competitive market. Yay you! You have everything you need to achieve your goals, so go ahead and get to work. You got this. Siraj Ahmed Wins MLA Book Prize! 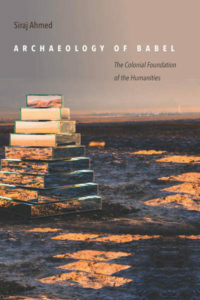 Former FFPP Fellow Siraj Ahmed wins MLA Scaglione Prize for Comparative Literary Studies for his book, Archeology of Babel: The Colonial Foundation of the Humanities (Stanford UP, 2018). The Archeology of Babel “argues that the privilege philology has always enjoyed within the modern humanities silently reinforces a colonial hierarchy. In fact, each of philology’s foundational innovations originally served British rule in India. 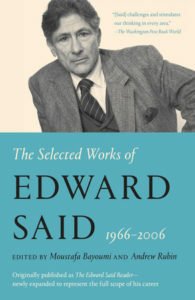 You can read the Prologue of his prize-winning book from Stanford University Press. Siraj Ahmed is professor of English at the Graduate Center and comparative literature at Lehman College. The Office of Academic Affairs at CUNY’s Central Office has announced a faculty fellowship program for mid-career colleagues. It provides release time, working groups, and mentoring in the service of promotion to full professor. The application deadline is October 30. Please follow this link for the application and more details. Happy Summer + Photos+ Updates? If you were able to take a head shot during our Publishing Workshop, you’ll be happy to know that your photo is ready! The always amazing Maryann McKenzie will be sending them to you in the next day or so. Enjoy! Happy summer from all of us! During my recent promotion process, I began using the term “magic box” to describe the actual storage container, several in my case, that faculty members must use to report their scholarly productivity, teaching and service when applying for either tenure or promotion, or both. On multiple occasions, I had heard about the need to file hard copies of all academic materials, which would then be scrutinized by diverse tenure and promotion committees throughout the application process. Nevertheless, I was still not sure of what the actual box should look like—so that was how the term “magic box” came into existence. I thereafter began to use it to vaguely name an object that I knew would be needed throughout the promotion process, and that I knew would have the power to change the odds in my favor (despite the fact that I still was not quite certain about what was supposed to go in it). Lo and behold, I discovered that I was not alone. Although most faculty members keep a careful record of their multi-tasking activities—including a well formatted and up-to-date curriculum vitae—not all of us are aware of the need to routinely collect detailed “evidence” of our daily academic routines and contributions. And by “evidence” I mean anything, and everything, that can eventually be considered a sound record of our itemized achievements: from a formal letter confirming a book award and an approved budget for an NSF grant, to an e-mail from an editor thanking us for reviewing an article. Given the fact that standards differ across universities, colleges, divisions, programs—and that they even change within departments over time—there isn’t a one-size-fits-all rule when it comes to showing evidence of our productivity and service. In some divisions, copies of a slideshow of an important keynote presentation can strengthen a candidate’s record, but in others, these materials may be considered superfluous. While doing my own “bean counting” to update my scholarly feats, I realized that I had not been keeping and filing all the materials that appeared in my C.V., and actually found many important things that were missing. A regrettable example of this was the fact that although I had received early promotion (to associate professor) at my former institution, I did not have any material evidence to prove it. Subsequently, I quickly turned into a sort of “scholarly detective” and began searching franticly—and finding one by one—all of my missing records, including a form from my former institution’s human services office, which confirmed my early promotion. Today, I secretly cherish my three huge “magic boxes” that remain piled on top of each other in a corner of my office. They are the material proof of my—by now—long trajectory in the academic world. Even if painful, the exercise of making the boxes visible forced me to become accountable to myself, and others, with respect to the enormous amount of work, and resulting accomplishments, I have amassed throughout the years. Although the physical box will hopefully soon been replaced by faculty’s electronic files—as is already the case at most CUNY colleges—its symbolic meaning will probably remain for years to come.